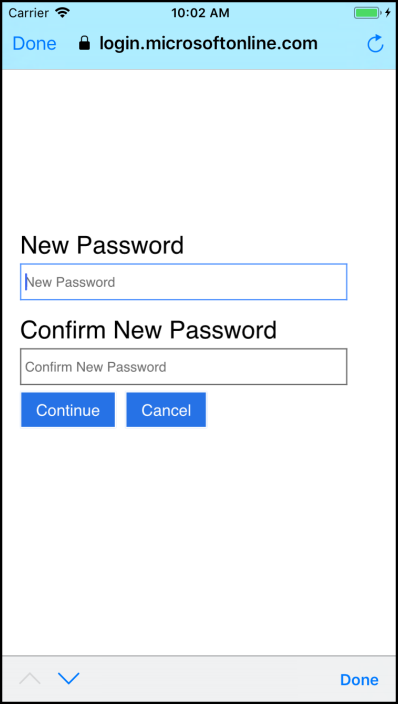 When you allow users to create accounts from within your app, eventually they are going to want to change their passwords, or edit some of the information they provided at sign-up. And I wouldn't be writing this post if Azure AD B2C didn't allow your users to change passwords and their information! 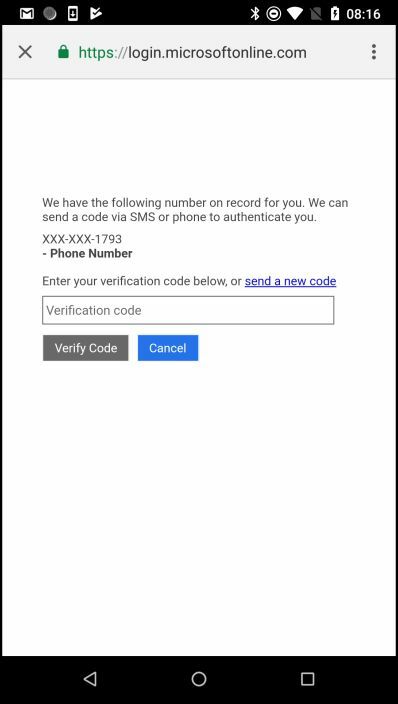 I mentioned way back in the first post on how everything is organized within Azure AD B2C that policies control the workflow the user experiences as they work their way through the authentication and authorization process. Resetting passwords and updating profile information is no different - they are both dictated by policies. 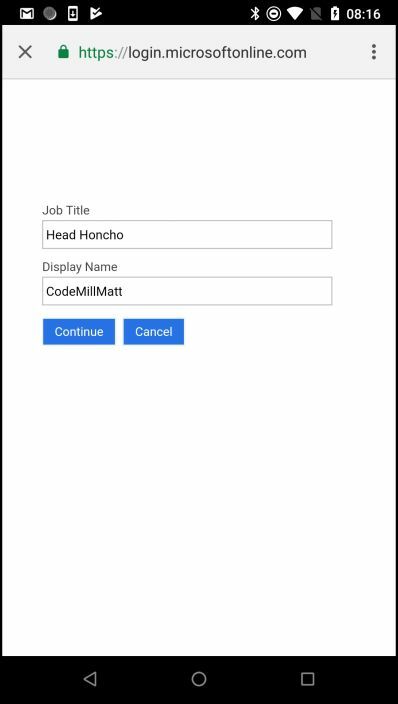 So without further ado, in this post we're going to look at how to create and setup the policies within the portal and then call them with the MSAL library from your Xamarin-based project. First up, let's talk about resetting passwords. 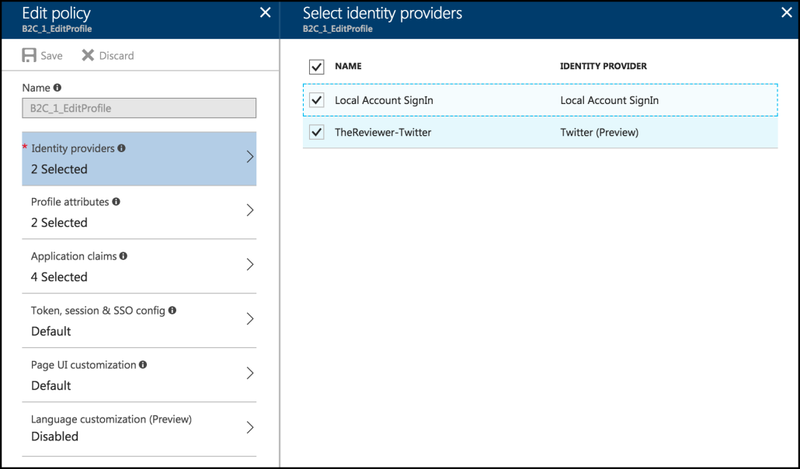 The ability to reset passwords only apply to Local Accounts within Azure AD B2C. In other words, you can only reset your password if you signed up using an email address and password. You're not able to reset a social provider's password through this mechanism. First they are asked to verify their email address. 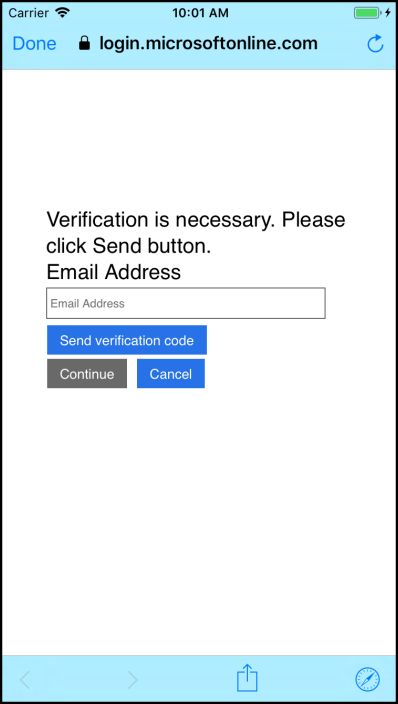 In order to verify the email address a code is sent to the email address that was entered. Of course, the user must enter that code - or have another one sent. 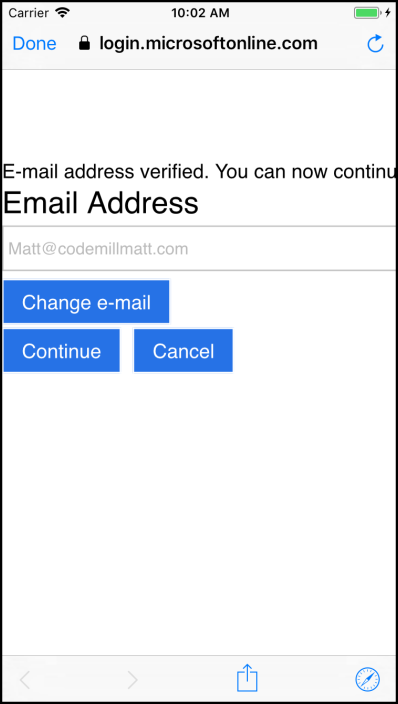 Once a valid code has been entered, they can now either change their email address or tap continue to change their password. Finally, the new / confirm password screen is displayed. All of the user interaction with Azure AD B2C is dictated through policies setup within the Tenant in the Azure portal. You create a policy by logging into your Tenant, then selecting the Password reset policies from the left hand menu options, and then selecting add in the resulting blade. This set of documentation will walk you through the process. A couple interesting things to note when creating or editing password reset policies. The first is that, again, only the local account identity provider is allowed to be selected from the Identity Providers option. Makes sense - that's the only account type where AD holds onto the password. The second is the Application claims blade specifies what information you want sent back to the client when a password is successfully reset. This means that not only is the password reset policy changing a password, but you can use the info it sends back inside the app by inspecting its claims. 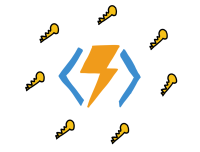 And it also sends back an authorization token that can be used to get at resources, such as an Azure Function, which requires authorization to be invoked! The Multifactor authentication blade is as it sounds like - a simple switch to require MFA in order to change the password. Invoking the new policy to reset passwords is easier than it seems on the surface. The service that we're using to invoke everything on Azure AD B2C is still using the MSAL client. And, in fact, we're still going to invoke the same function, AcquireTokenAsync, as we did when initially signing-in into and acquiring the authorization token with Azure AD B2C. There are a couple of changes - but they're pretty minor. Let's take a look at the snippet of code that's performing the password reset. The AcquireTokenAsync is still returning an AuthenticationResult object. That object is going to have everything in it that we'd expect it to have ... an access token, when it expires, the scopes it's authorized for, and within an ID token field, all of the claims. One difference in the way AcquireTokenAsync is invoked is that it is not passed a IUser object. It's UIBehavior is set to SelectAccount. And the URL it's set to call is the URL of the reset password policy. And that's all there is to that! Well, except updating the UI code to make use of the service code that invokes the reset password policy. 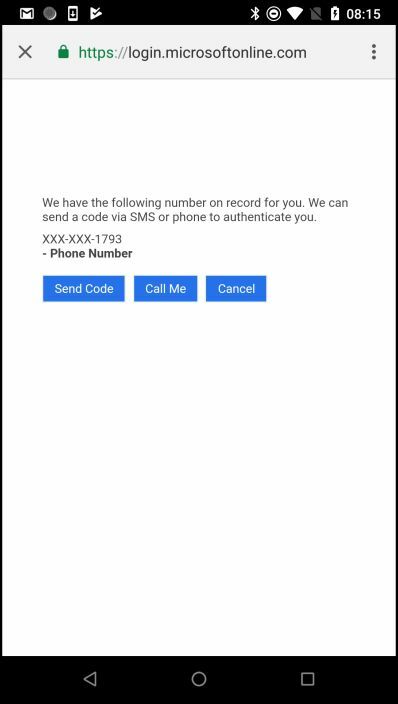 The question here is - how to handle the token / result from the password reset AcquireTokenAsync call in the Xamarin.Forms app? Where to store it? Which one from which policy to use? Do we still use the one from the sign-in or the new one from the reset password? When the AcquireTokenAsync method returns - it will have put an additional IUser into the Users collection within the PublicClientApplication object that's used to communicate up to the Azure AD B2C application. This new user will be associated with the policy that was just invoked. 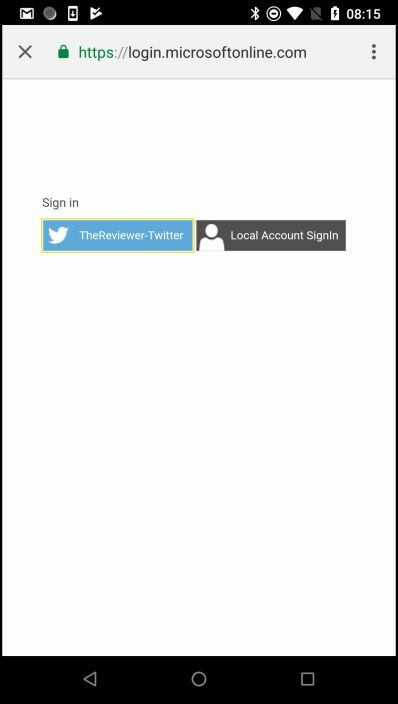 Assuming the user has previously signed in, there will be an IUser object associated with the Sign-up and sign-in policy and another IUser associated with the Reset password policy. The AuthenticationResult object from the reset password operation will have an appropriate token that can later be used to access any resources that require them. Getting a token out of the PublicClientApplication.Users collection is as simple as passing the correct policy-user whose token you want to the AcquireTokenSilentAsync function. In other words - as long as the scope is correct to access the resource you want - you can use the token from any user in the PublicClientApplication's collection - including the token returned immediately from AcquireTokenAsync. Confusing? In a future post I'm going to outline the best practices of using the MSAL library to store and retrieve tokens. For now, the demo app I'm accompanying this post immediately uses the token in the AuthenticationResult object that's returned from the latest AcquireTokenAsync call - and if you shut the app down - it forgets that you were even logged in! :) This is because I want to always force the user to sign-in or change a password in order to get at the data in the web service. Pure for demonstration purposes. Pro tip ... when debugging anything that deals with Azure AD B2C - use a real device instead of the simulator ... it will make life much easier in the long run! If you remember back to one of the first posts in this series, there are a number of user attributes that can be collected and stored in the backing Active Directory. These are set within the User attributes section of the Tenant. The user is able to modify any of those attributes except for system based ones (such as object ID) that you specify within the edit policy. So let's find out all about these edit policies! Unlike changing a password where it only applies to local accounts, editing a profile can be done through any of the identity providers setup. So the first step is to choose which identity provider you want to log in with. Assuming you have MFA enabled. Again, assuming you have MFA enabled, once you get the code you'll have to enter it. Finally, once you pass all the verification hoops, the user can change the information you that specified as changeable in the edit policy. Now let's look at that edit policy! Much like the Password reset policies, all interaction for editing user information is dictated through Profile editing policies which are created within the Tenant in the Azure portal. You create a Profile editing policy by logging into the Tenant in the portal and selecting Profile editing policies from the left under the Policies heading. From the new blade that appears, click the plus button. A couple of interesting things to note while creating (or later editing) the policy. First, you can select as many of the identity providers as you have configured in the Tenant to allow the user to sign-in with. Application claims lets you specify which of the user attributes you want returned as claims to you app. And Page UI customization lets you pick custom HTML pages to display during the various work flow stages the user goes through while updating their profile info. 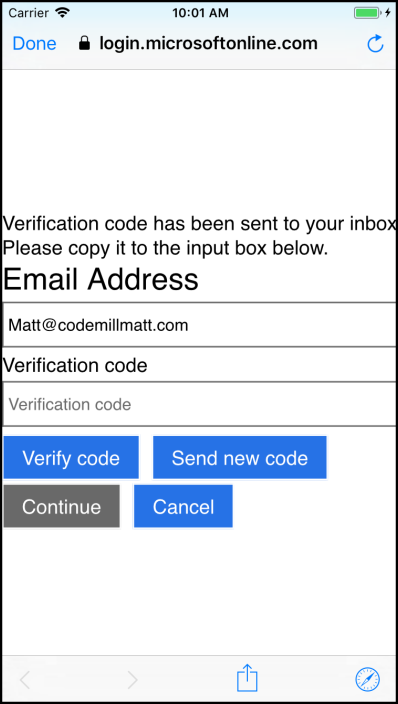 The code from the Xamarin app to invoke the edit profile policy is pretty straight forward ... in fact it looks a lot like the code from the reset password section! We're still going to use the MSAL client. We're still going to invoke AcquireTokenAsync. Still going to get back an AuthenticationResult object. Still can use the token within that object to access any resources that need tokens from our Azure AD B2C application. Some differences here... GetUserByPolicy scans the Users collection in the msaClient object to see if there already is an IUser in there that is from this policy. In other words, if our app has already called the edit profile policy, there will be a user in that collection and we can pass that up. The UIBehavior.SelectAccount is telling MSAL how it wants the UI to be displayed. The question of updating the client UI - or what to do with the token after the edit policy is invoked is the same as it was in the reset password section. After the AcquireTokenAsync returns, the MSAL will place another IUser object into the PublicClientApplication.Users collection. This time it will be an IUser for the edit profile policy. For the purposes of the demo app, I'm using the latest access token (or whatever is being returned from the edit policy version of AcquireTokenAsync) to invoke the web service. I'm not worrying about which policy was invoked, be it a sign-up/in or password reset, or profile edit. In fact, every time the demo app starts, I'm clearing out any cached users the MSAL may have stored, that way there's always a clean slate to work off of. In a future post I'll go over the best practices of which IUser to use when, and which token to use when. In this article we went over the different policies that you use in order to allow users to change their passwords and to update information stored in their user profile. The initial setup is all done through the portal by configuring policies - which dictate the workflow users take in order to interact with Azure AD B2C. Then the app still uses the MSAL library - and still invokes the AcquireTokenAsync method to invoke those policies. The object returned from that method has an access token in it which can be used to get at any service which is setup to require the Azure AD B2C tokens from your Tenant application. In the next post we'll take a look at securing resources even more. Currently when you have an authorization token, that's all you need to perform any operation the resource offers. The next post will show you how to inspect who the user is and to make sure that not everybody can do everything within the backing server or resource application.